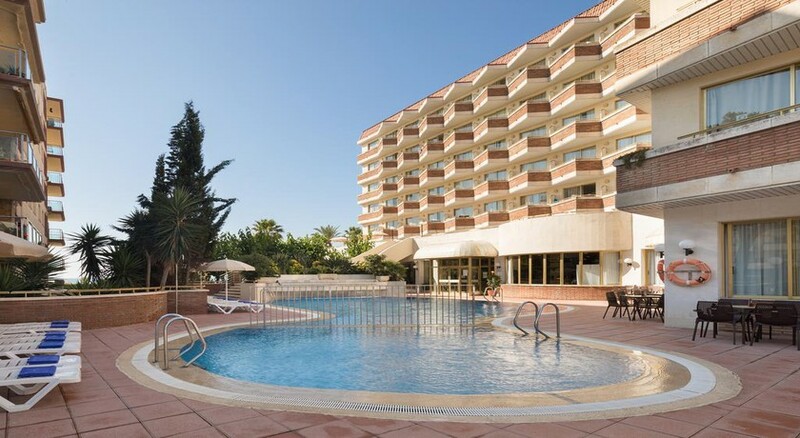 H.Top Royal Sun Hotel is a magnificent hotel located in the tourist area of Santa Susanna in ​​Barcelona. Thanks to its excellent location, guests of the hotel can enjoy various and wonders offered by this fascinating tourist town. 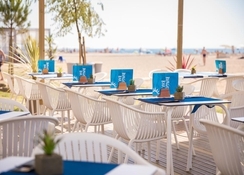 The hotel is located on the beach and offers excellent Mediterranean cuisine at its restaurants and bars. The rooms are a haven of peace to relax and unwind at the end of the day. Guests can enjoy a wide range of facilities and services. In addition, they have an interesting program of activities that will ensure that you do not have a dull moment. This wonderful hotel features a magnificent architectural design, which harmonizes perfectly with its surroundings. 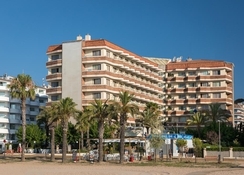 H.Top Royal Sun Hotel is 33km from the Gernoa-Costa Brava Airport. The hotel is just a minute’s walk from the beach and is close to supermarkets, restaurants and bars. The nearby golden sand Santa Sussana beach offers loads of opportunities for sun lounging, water-sports and swimming. H.Top Royal Sun Hotel offers a total of 216 rooms, most of them facing the sea. Guests can choose from various types of accommodation to suit their requirement. The hotel offers an all-inclusive package as well as full board, half board and room only or bed & breakfast options. The spacious rooms come with a complete bathroom, a direct dial telephone, satellite /cable TV, stereo, minibar, air conditioning, central heating, balcony and a hire safe. The hotel’s own restaurant serves Mediterranean cuisine and is open for breakfast, lunch and dinner. Guests can also discover a host of restaurants and bars in the vicinity of the hotel. The Drunken Duck provides outdoor seating and offers delicious cocktails – an ideal setting to spend quality time with your loved ones. The Bei Pepe Restaurant offers authentic Mediterranean cuisine. H.Top Royal Sun Hotel goes a step further to ensure that no guest has a dull moment and accordingly has facilities for all. Guests can use the pool, which has a bar, sun loungers and parasols, as well as a solarium or play billiards and table tennis. A program of activities and entertainment is offered. A dated 4 star hotel, great location for all resort offers. Great variety of food, shame it's not hotter at times. Would come back again as most guests do. Only down side is entertainment is not the best, but still a great time was had. Very enjoyable stay at Royal sun. Good value for money.